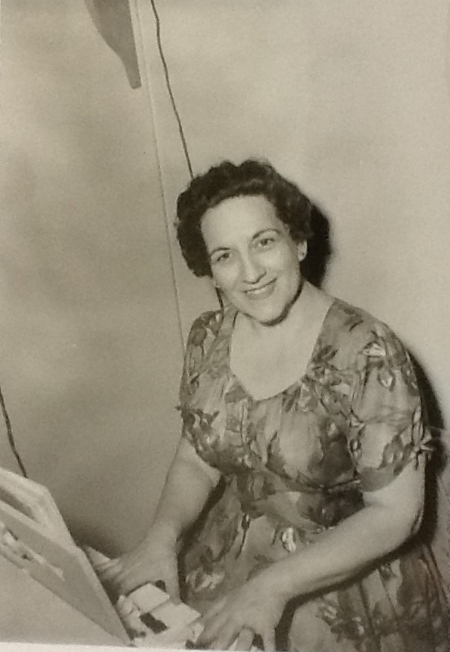 Grace was born in Sydney in 1913 and began playing at the age of 5 years. By the age of 12 she was playing at weddings and functions around Sydney. She went on to play concerts at the Sydney Town Hall and on the theatre circuit until health problems interrupted her musical training. 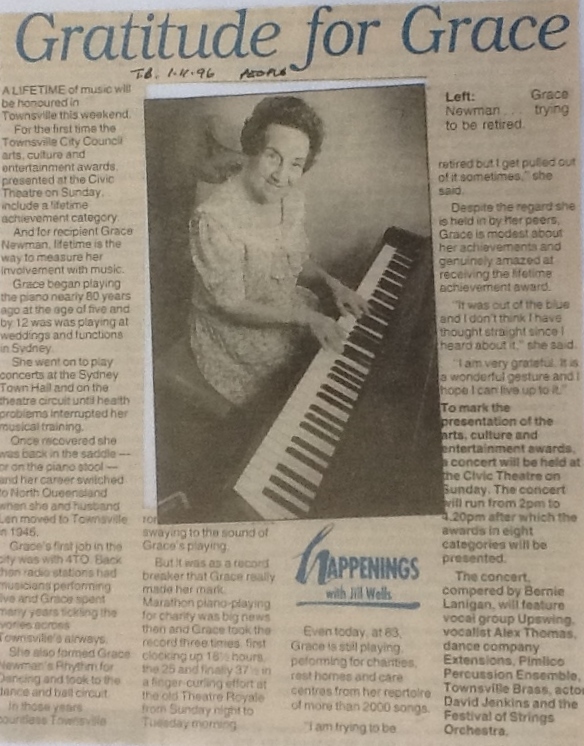 Once recovered Grace’s career switched to North Queensland when she and her husband, Len, moved to Townsville in 1946. Grace’s first job in the city was with 4TO. Radio stations in those days had musicians playing live and Grace spend many years on Townsville’s airways. She also formed Grace Newman’s Rhythm for Dancing and took to the dance and ball circuit. In those days countless dancers swayed to the sound of Grace’s playing. Grace also played for charities, rest homes, and care centres from her repertoire of over 2,000 songs. She also made her mark in marathon piano playing for charity and took the record three times, first clocking up 18 hours, then 25, then finally 37 at the old Theatre Royal playing from Sunday night to Tuesday morning. Grace was still performing at the age of 83 and in July 1996, her long time friend and musical colleague Ray Bird organised a “Nostalgia Ball” (assisted by band leader Les Nicholson). Grace was there playing in a recreation of the “the old days”. She was presented with the first Lifetime Achievement Award for Contribution to the Arts, Culture, and Entertainment by the Townsville City Council at the Arts, Culture, and Entertainment Awards at the Townsville Civic Theatre in November 1996. Grace passed away in May 1997 after succumbing to cancer. 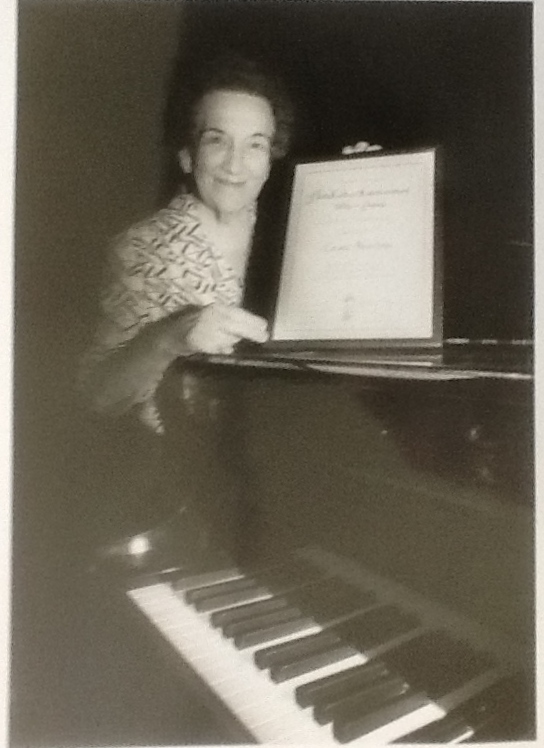 Grace Newman in Nov 1996 with her Lifetime Achievement Award.